California has long been where people go to strike it rich. In the past, people came for gold — and to sell goods to those looking for gold. People now come for land ripe for vineyards, to become a Hollywood movie star, and, most recently, to strike it rich in the cannabis industry. These migrations have helped California become the richest and most populous state in the union. But they’ve also created a less seen side of the Golden State: ghost towns. 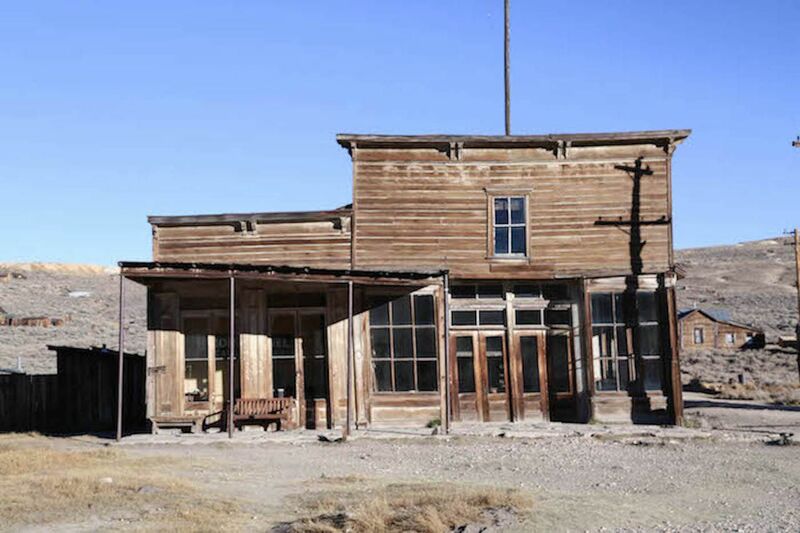 There’s an incredible number of ghost towns in California. Many are desolate with only a few building foundations left while others look like people got up and got out in a hurry, leaving everything in place. All provide a point of view most people miss when they visit California. Joanna Kalafatis, an actress, writer, photographer, and Matador contributor, knows this all too well. Kalafatis has two books that document what it’s like to travel forgotten — and often dusty — California towns. The first is Abandoned Southern California: The Eras That Shaped the West, and the second is Abandoned Northern California: A Land of Contradictions. While road tripping across California, she’s seen snapshots of what life was like in the past. 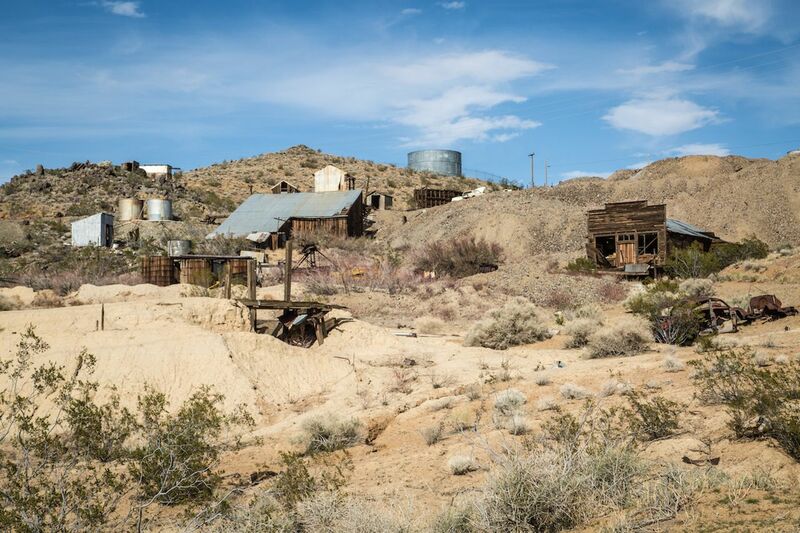 We caught up with Kalafatis to learn why ghost towns are the best way to experience California in a way most people don’t know about. Why should travelers visit abandoned towns? When you have a whole town that’s abandoned, you can see the lifestyle of an era. You have abandoned schools, bars, churches, everything. It’s like an entire cross-section frozen in time. The way I see it, abandoned towns are a very recent form of archaeology. What do archaeologists do to understand history? They go to abandoned places and find artifacts to get an understanding of how people used to live. For me, abandoned towns show an interesting real-life snapshot of a past era in time of a place that you’re visiting. You get to see something that might not be obvious in modern buildings of a city or town that makes it come to life. Your books focus on California. Is there any part of California that’s an especially good area for abandoned towns? 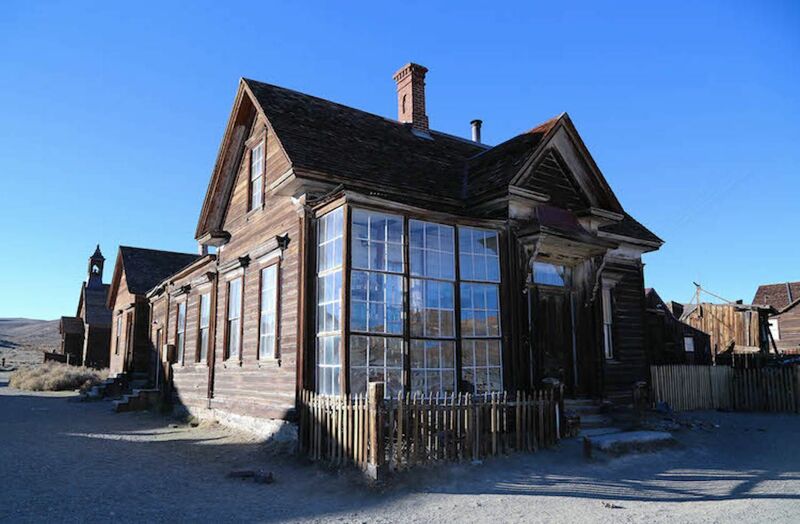 Bodie has the most interesting buildings because it’s, I believe, the best-preserved ghost town in the entire US. 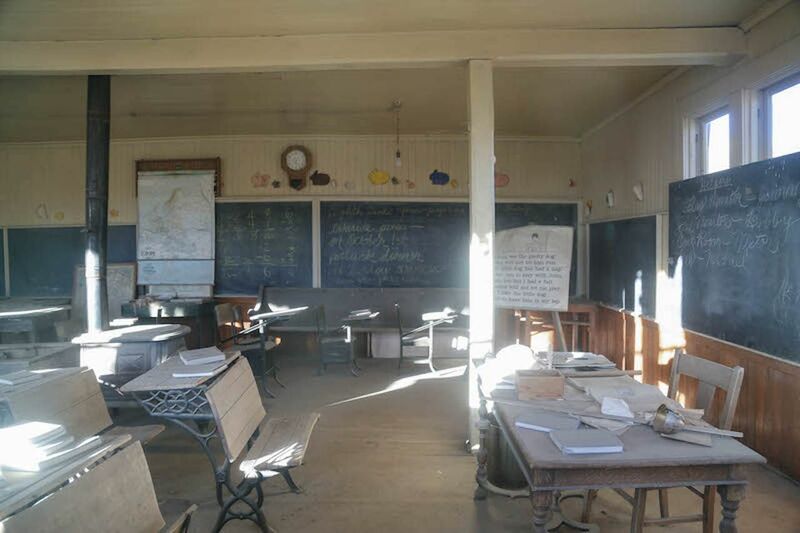 So, for example, the abandoned school has books all over the place — obviously not in the greatest state — but also writing on the chalkboard. It’s preserved in a state of arrested decay. Looking inside, it’s like everyone just got up and left their things there. It’s been classified now as a state park, so people are looking out to make sure it doesn’t fall to ruin. They’re not preserving it as it was, though; they’re preserving it as it was when they found it so it doesn’t fall into disrepair even more. 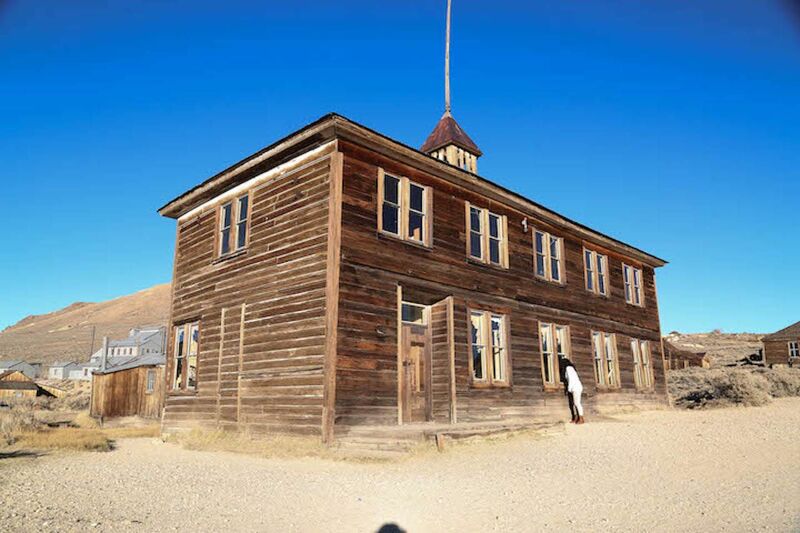 Most of the towns that are around Bodie, which hit its peak in the 1860s and ‘70s, are in very rough parts of the state. They’re in deserts and mountains with high wind, cold, and heat, so they’ve fallen apart for the most part. 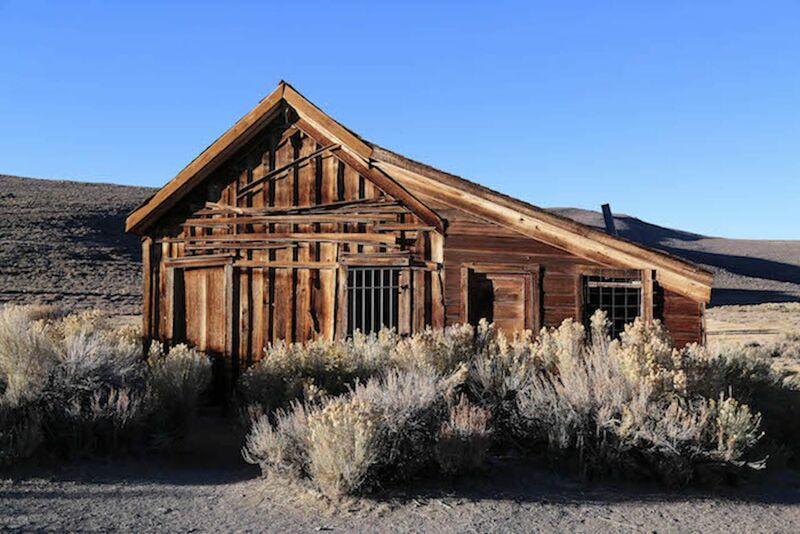 Bodie has upwards of 40 buildings on site that are standing fully furnished. That’s a very rare thing to find from that long ago. Going to these towns you really do get a lot of sense of the details of that era because you see it first hand. What makes northern California so apt for abandoned towns? The waves of immigration. The gold rush, railroads, people using Route 66 to escape Depression in the east. There was the silver mining area, where a lot of towns sprung up and fell away in the same location. Same thing with the Mojave Desert towns that are all 40 minutes within each other. Have you had any scares while exploring? I was photographing a town just a few minutes outside Randsburg. It looked completely abandoned and decayed, and I was photographing a house where half the roof was falling down and the door was off its hinges. It was quite dark inside — you couldn’t really see — and I had my camera up to my face. As I tried to zoom and focus and adjust the settings, I realized there’s an old woman staring back at me inside this abandoned building. Hospitals are always interesting because you have a lot of hallways and the extra creepy vibe. What should people know before visiting abandoned towns? A lot of the abandoned towns in California are 90 percent abandoned, so there are some people somewhere in the town. And they tend to be very, how do I say it, thorny to outsiders. Be aware, be respectful, and don’t go onto private property. Always be aware and try to buddy up with someone. For a couple of places, make sure you have a car with four-wheel drive and go in full daylight. Don’t go during the winter. Some roads are dirt and get snowed in during the winter. Do your research beforehand to make sure the roads are open, the climate is right, and you have enough daylight to explore. The last thing you want to do is get stuck in the middle of nowhere in an abandoned town with no way to get out. Not a great idea. Any tips for people who want to photograph abandoned towns? With abandoned buildings in general, you want to play on shadows and contrast. There’s a lot of that inherently around abandoned towns that gives them an interesting creepy vibe. You can’t rely so much on colors because a lot is faded and monotone. You have to create your own textures with shadow. That’s the number one tip. Most of this could be done using a solid camera like a nice mirrorless. Make sure you have a small cleaning kit because it can be dusty and grimy, and you’ll later find that things are on the lens. If you want to go the extra mile, rent a good wide angle lens to photograph the interiors of buildings, as it gives it a whole different dimension. If there was one town that you wish was abandoned so you could photograph it, what would it be? I’ve been to Tokyo and loved it, and it would be interesting to see Tokyo abandoned because part of what makes it what it is now is that it’s so crammed with people all over the place. It would be very fascinating to me to see a place like that completely abandoned and still and see what the city is like without millions of people there.